Once upon a time, you heard about this mysterious thing called ‘Facebook business manager’. Maybe you were curious about this prestigious sounding system. Or you were helping clients with their advertising and this sounded like a convenient way of working. Surely you were a marketing professional and smart enough to figure out how things worked, right? So heck, why not set this thing up for yourself? But then… days, months down the line, you were forced to go to business manager to check up on your pages. You couldn’t find certain ad accounts anymore. Maybe you claimed pages, without knowing what exactly that meant, you tried to give access to your co-workers, business ID’s were requested, Facebook forums were filled with questions, and sometimes even Facebook representatives didn’t seem to know what they were talking about. Within time this new thing that sounded like an opportunity had become one big incomprehensible problem. But today… the puzzle will be solved. The first half of this article explains Business Manager as a system. But if you want to jump to specific issues you’re having, scroll down to the FAQ. Business manager is a system made especially for agencies that work with multiple pages. The purpose was to give agencies one designated overview of all the pages and ad accounts they manage for clients and an overview of all the people they assigned roles to. It was also developed to separate work and pleasure. When you work in business manager, you won’t get notifications from your personal account, thus making it easier to concentrate on tasks. Sidenote: for the purpose of this article, ‘roles’ and ‘access’ will be used interchangeably. In general, there are two ways to have access to a page. One is through the regular page manager. You can check if you are accessing it through page manager or business manager by looking at the URL. If the URL is www.facebook.com/[yourpagenamehere], you are on the regular page manager level. If you see business.facebook.com/[yourpagenamehere], it means you are accessing the page through business manager. A person cannot own a page in business manager, only a business can (more on that later). Persons can only be assigned roles in a business manager or in the regular page manager. This is either/or. Once you have added a page to business manager and assigned yourself a role there, you cannot manage it through regular page manager anymore. First, in business manager there is a role called page owner. In regular page management, there is no such thing. Being a page owner in business manager, isn’t a whole lot different than being a regular page admin. The main difference is that in business manager, a page owner is the only one who can view the people who are assigned roles to the page. On the regular page level, anyone can view the people who are assigned roles to the page. However, to keep things simple and clear, always be sure that a person only claims a page (and thus owns it) when they work at that organization, not for (i.e. an agency). Second, while in both business manager and the regular page manager there can be as many admins as you like, in business manager there can only be one page-owner (again, this can only be a business, not a person). The third thing to know is that if you work through business manager, you will have to set a primary page. If you are an agency, you can use your agency’s page for this. If you work for just one organization, it will be the page of your organization. There are more differences listed below. As you can see, there are advantages and disadvantages to both systems. As an admin, you can give anyone a role on the page (i.e. analyst, admin etc.) You can also give an agency a role on on the page. This agency then can give anyone a management role on the page. You cannot, however, see who they give access ot the page management. In order to give someone a management role on the page, you need to be friends with them. You can add whoever you want to your business, by using their e-mail address. You can then assign them a page role on any page you have in your business manager. If an admin leaves the company, other admins will still be admins. If an admin leaves the company, other admins will still be admins. If the admin that leaves is also the page owner in business manager, they need to transfer the ownership (this is easy to do, as described in the FAQ). If you received access or set up a page or ad account through your personal account (in stead of through your business manager), you can only access it from your personal account. If you received access or set up a page or ad account through business manager, you can only access it from your business manager. In ‘page roles’ in the page settings, you can see everyone who has access to the page on the page management level. You can only see people within your own business who have a page role. If you give someone a role on the page, they can immediately access it. If your business has a role on the page, you have to then add yourself as a person to that page, before you can access it. New people working on the page can pro-actively request access to that page. I addition a page admin is also able to assign a role to new people working on the page. All people with a role on the page can see each others roles. They can also remove each other. Only people within the same business can see which roles they have on a page. If people have a page role on the page management level, or when working for a different business than yours, you cannot see them. Just like accessing a page, there are two ways to access your ads. You might have ad accounts in both places: in your business manager and in your regular ads manager (which is connected to your personal account). Just like managing pages, the best practice is to choose which of the two systems you will be using and make sure you have all your ad accounts connected to either your business manager or your personal ads manager. If you are an agency and your client is not using business manager, they can only add you as an admin. You will be then using your personal account and thus regular page and ads manager, and not business manager. If you want them to add your business as a partner, they need to start working in business manager themselves as well. What happens when you add an employee who is not using business manager to your business manager? Automatically, a business manager is created for them. They will not have to claim a page first, but the page of your business will automatically be their primary page in business manager. What happens when the page owner leaves the company? The page owner can remove the page in their business settings. It will then be available for someone else to claim. The page owner’s successor can make a request to claim the page in their business settings. The page owner can then easily transfer their ownership to the successor. Can I transfer the ads account ownership to someone else? The person who set up the ad account is the owner, no matter if they created it through their personal account or through business manager. In the regular ads manager, the person who set up the ad account will be the only owner, and you cannot transfer it within the regular ads manager. You can, however, transfer ownership to a business. To do this, a business needs to ‘claim an ad account’ in their business settings in business manager. Now, do you understand business manager like a pro? So, what do you think? I have tried to include all questions you might have and will update this article frequently. Please share your insights, updates and other questions in the comments below, or send me a tweet at @wendyhk! It would be great if we can make this article the place where all answers can be found! Onderstaande post schreef ik in 2011 voor het weblog Dutch Cowgirls. Het blog is nog steeds relevant, behalve de term ‘transmediaal’ ;-). 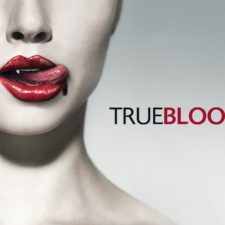 True Blood gaat over vampiers, die in leven kunnen blijven zonder mensen te hoeven bijten, dankzij het synthetische drankje Tru Blood (ook in de echte wereld te koop). Enter the sum of 6 + 16	below to prove you are a human. Copyright 2014 Webby with a Cause | Wendy Hoenkamp Powered by WordPress | Theme by CuckooThemes.com implemented and adapted by Remko.